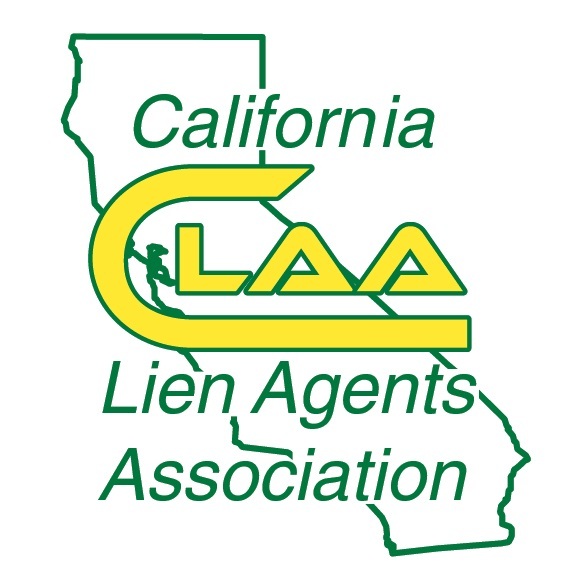 ASAP Lien Sales: Cities And Unincorporated Communities Served By California County. Why wait in long lines at DMV or wait weeks for CHP to look at your vehicle when you don't have to? We offer mobile onsite Vehicle and VIN verifying to Auto Dealerships of any size and private parties in all the counties listed above. While at your location we will supply you with the professionally completed form (Reg 31) required by the California Department of Motor Vehicles for your vehicle transaction. Call Today at (510)799-4194, or email us at Info@asapliensales.com to get fast service. Car, Truck, Tractor, Trailer, Motorcycle, Motorhome, ATV, Boat and Custom Automobile. After the first vehicle, deduct $5.00 off the price of each unit thereafter. Example; Alameda County = 1st vehicle $85.00, 2nd vehicle 80.00, 3rd vehicle $75.00 etc., to a minimum of $30.00 each. All vehicles must be at the same location and completed in a single trip. Original applications for new automobiles, motorcycles, and commercial vehicles with an unladen weight of 8000 pounds or less. Salvage or revived junk vehicles. We Cannot Verify Salvage or Junk Vehicles. These Are CHP Verifications Only. Please Do Not call Us. Used motorcycles with unavailable records or with documents from a foreign country. These Items Are DMV - CHP Verifications Only. You have a vehicle that is no longer in the DMV database. You have any vehicle that was registered out of state and coming into California. You have a non California motorcycle with out of state title. You have vehicle documentation that reflects an incorrect VIN. All Vehicles must be in one location and completed in a single trip to avoid additional daily trip charges. Certificates of Origin, Title, or Registration for each vehicle must be faxed or emailed to our office at least one day prior to verification. Alameda, Oakland, San Leandro, San Lorenzo, Hayward, Castro Valey, Union City, Newark, Fremont, Pleasanton, Livermore, Dublin, Emeryville, Berkeley and Albany. Alamo, Antioch, Bay Point, Bethel Island, Brentwood, Byron, Clayton, Concord, Crockett, Danville, Discovery Bay, El Cerrito, El Sobrante, Hercules, Kensington, Knightsen, Lafayette, Martinez, Moraga, Oakley, Orinda, Pacheco, Pinole, Pittsburg, Richmond, Rodeo, San Pablo, San Ramon and Walnut Creek. Belvedere Tiburon, Corte Madera, Fairfax, Greenbrae, Inverness, Kentfield, Larkspur, Mill Valley, Novato, San Anselmo, San Rafael, Sausalito, Terra Linda, Tiburon and surrounding communities. American Canyon, Calistoga, Napa, Saint Helena, Angwin, Yountville, Deer Park, Oakville, Rutherford and Saint Helena. Antelope, Carmichael, Citrus Heights, Elk Grove, Fair Oaks, Folsom, Fruitridge, Galt, Isleton, North Highlands, Orangevale, Rancho Cordova, Rancho Murieta, Rio Linda, Sacramento, West Sacramento and surrounding Sacramento County Cities and communities. Atherton, Belmont, Brisbane, Colma, Daly City, East Palo Alto, Foster City, Half Moon Bay, Hillsborough, Menlo Park, Millbrae, Pacifica, Portola Valley, Redwood City, San Bruno, San Carlos, San Mateo, South San Francisco and Woodside. Alviso, Campbell, Cupertino, Gilroy, Los Altos, Los Gatos, Milpitas, Morgan Hill, Mountain View, Palo Alto, San Jose, Santa Clara, Saratoga and Sunnyvale. Benicia, Dixon, Fairfield, Rio Vista, Suisun City, Vacaville and Vallejo. Cloverdale, Cotati, Guerneville, Healdsburg, Penngrove, Petaluma, Rohnert Park, Santa Rosa, Sebastopol, Sonoma, Windsor and surrounding communities. Davis, Dunnigan, West Sacramento, Winters, Williams, Woodland, Yolo, Zamora and surrounding communities. Please Be Aware, some of the communities listed below may be a beautiful drive to get to, there may be additional charges above any listed price for a specific county rate fee. We are licensed and bonded California Vehicle VIN Verification Service. Our Verifiers can verify any vehicle required to be registered by the California Department of Motor Vehicles**. for a Licensed Vehicle Verifier in your California County. Call us instead, We do it Friendly, Affordable and Fast!! **Exception Please Note: No Licensed Verifier can verify salvage vehicles or motorcycles with no title or engine changes. See below for more details. Please Be Aware, some of the communities in the counties listed above may be a beautiful drive to get to, there may be additional charges to any listed price for a specific county rate fee. Sorry, ASAP Lien Sales does not accept personal checks for verifications, Cash or Credit Cards ONLY. 1st Primary VIN - On vehicles 1970 and newer vehicles, we must always have the primary vin in the windshield and it must be legible. 2 Secondary VIN - On vehicles 1970 and newer, we will need to see the Federal Certification Label (usually on the left side door frame or door). If the Federal ID is missing or illegible, you will be referred to the CHP. On 1976 and newer, we will need to look for an EPA sticker, usually located in the engine compartment or under the hood. We will also need to record the mileage on the odometer. Also, when completing a vehicle verification, in addition to seeing the actual VIN's on the vehicle, we will need to see whatever documentation you have on the vehicle such as Title, Registration, Certificate Of Origin, etc. Please Note: It is not the responsibility of the verifier to locate your vehicle ID's. You must know where the VIN numbers are located and that they are legible in order to verify that they are correct for the vehicle. If needed, we can provide ideas where the VIN's may be found on some of the older models, but certainly not all, however, you can find most of the answers with some on-line research, (example - "1967 Cadillac vin location"). Special Note - AS of 10/01/16 - All Vehicles, no matter what year, 1886 - (thats eighteen hundred and eighty six) to the present, must have two matching identification numbers (VIN's). Please don't take this lightly - it is the law) If you do not have two matching identification numbers, the DMV and Licensed Vehicle Verifiers are required to refer you to the CHP for verification. The cost of this referral is the same as any verification for your county. Super Special Note - AS of 09/01/17 - Licensed Vehicle Verifiers can now verifiy older model vehicles with only one VIN number. As we suspected, the above regulation put to much presure on the CHP. Welcome back, If you have a vehicle 1969 and older with only one VIN And Have suporting documentation for that vehicle, (title, old registration) We can verifiy it for the Department of Motor Vehicles. Special construction vehicles - kit cars, frame changes, home made trailers, etc. If you have been referred by the DMV to go to the CHP - Please Do Not Call Us - Your only option is the CHP. If you call us and we go to your location - the charge will be the same charge as for any county listed above.